One of the greatest preparations for camping is your footwear. Of course, you don't want cold feet during the night. Having the best camping shoes can be the beginning of your great adventure. There can’t be smiles when walking through a desert with waterproof wellies or heavy hiking boots. However, ultralight camp shoes or sand flip-flops can be perfect. 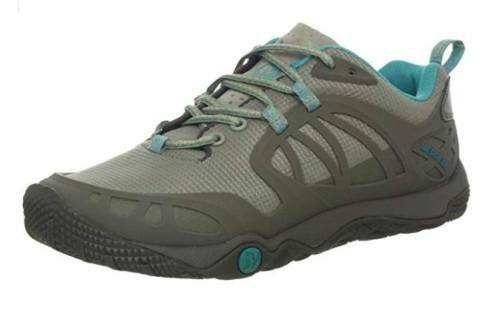 Besides the protection, these shoes are mood enhancers in your camping or hiking. Comfortable camping shoes will make life easier especially if you are an avid camper, adventurer or fond of hiking. 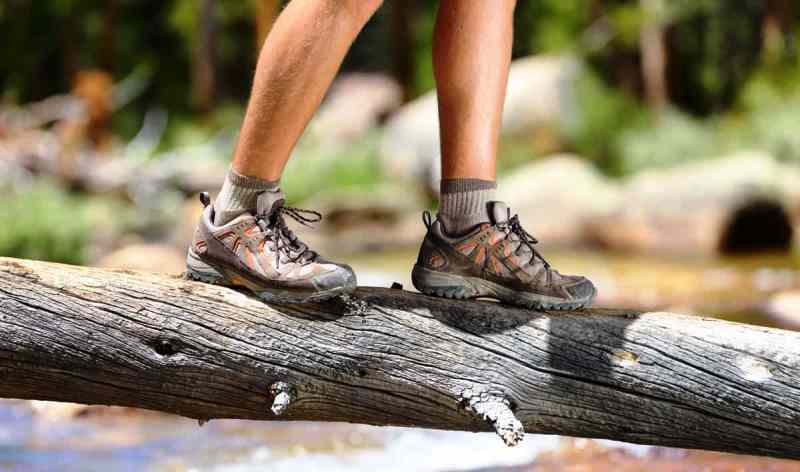 From our adventures, we have tested quite a few and will present you with detailed reviews of the best camping shoes, boots and sandals in this article. For those who wants to jump straight to our final verdict, here are our top picks. Whenever many think of hiking, this is the boot that strikes their mind just because of its durability and resistance to harsh environmental conditions. Although it looks heavy because of its design, the shoe is super light. It has been explicitly designed to give optimum protection to your feet. It will make you move faster in comfort. 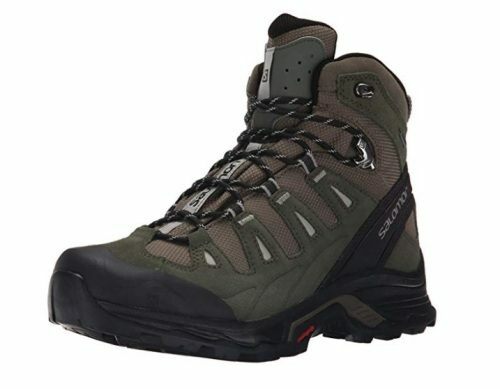 Salomon Men’s Quest Prime GTX is one of the best camp shoes backpacking light to many. The following are some of the features that make it our best pick. 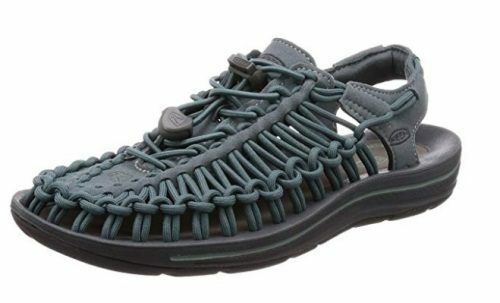 These are perhaps the lightest camping shoes you can ever have that come in all sizes and colors. 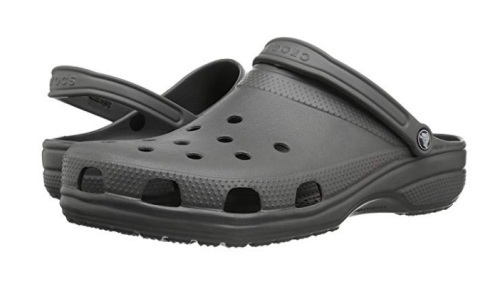 Whether you want it for your child or grown up, you can have this Crocs Unisex Classic Clog. It comes in various colors like Ballerina pink, tropical teal, candy pink and 13 others. 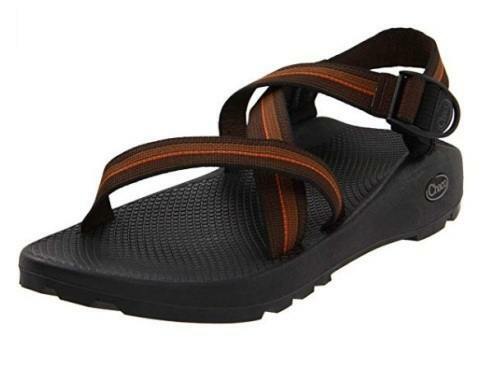 Because of the variety in colors, weight, and sizes, they are great camping shoes for women. 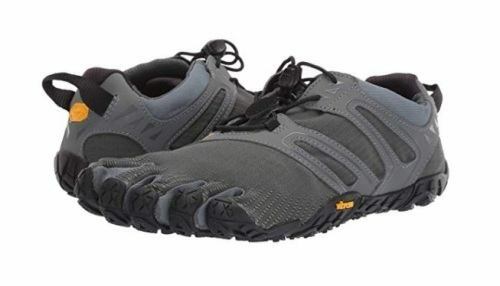 If you want to have a barefooted non-restrictive feel, then Vibram FiveFingers Men's V Trail camping shoes is what you need. They provide you with a great balance of foot sensory impact and excellent protection in all direction. They come in various colors from dark grey/sage, grey/black/orange, black/grey, tapestry/blue, blue/black, orange/grey/black, and oyster. 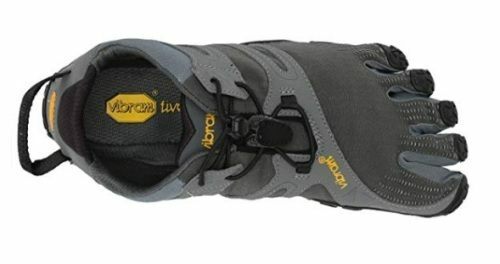 Depending on the size of your feet, the price of Vibram FiveFingers Men’s V Trail ranges from $67.94 to $160.98. You can match into your adventure or camping by having the light and right camping shoe. Whether in summer or winter, Merrell Women’s Proterra Vim will serve you. They have infused Stratafuse technology that makes your feet breathe even when it is very hot. 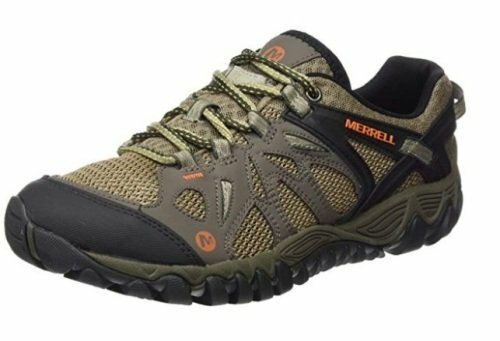 These Merrell shoes help you to have greater responsiveness, stability, control, and sensitivity. They come along in various colors; Aluminum, Blau (Sea Shore), and Sea Shore. The exterior material is quick drying hence you don’t have a problem with washing them. 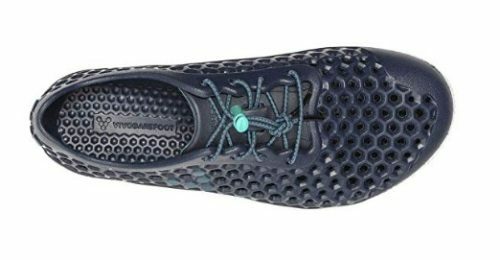 You don’t have to be on that white pair of Vivobarefoot Women’s Ultra 3 on camping; it has six more options to choose from. Besides, it comes in various sizes from which you can choose your best. 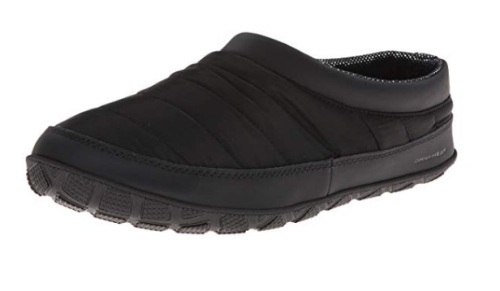 These are water-resistant camping shoes which you can either use along the beach, in the sea or land. The outsole is well-adapted to do well in wet and wild environments. It is well-ventilated to ensure your feet get enough air especially when it is hot. You can also shed sand and other debris through the holes. This Men’s choice comes in khaki, black and black/red color. Besides, it also comes in various sizes hence you can get your perfect match. They have been designed to be 100% vegan-friendly. They are very light, and the upper mesh makes one's feet to breathe effectively to avoid bad odor. 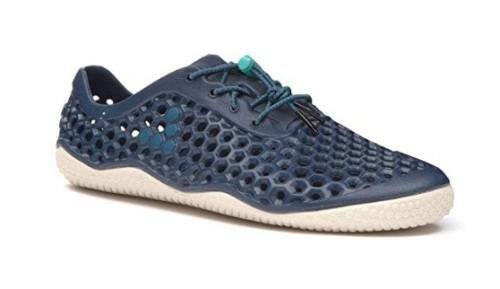 Their molded TPU heel enhances stability while their heel pull loop makes it easy to put it on and off. The mesh lining is usually treated with M Select FRESH technology to keep the feet fresh. 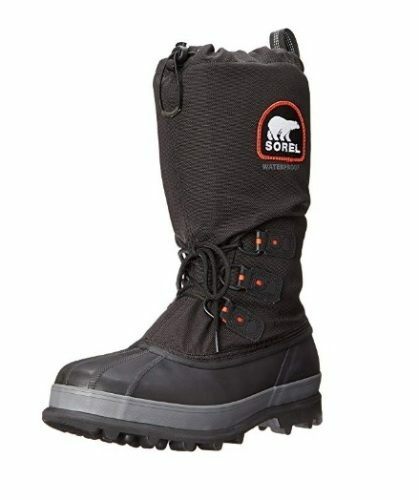 Sorel has catered this snow boot for the most extreme weather conditions like winter. These winter camp shoes are entirely water resistant fitted with Omni-heat reflective lining in it to ensure your feet are warmed effectively. 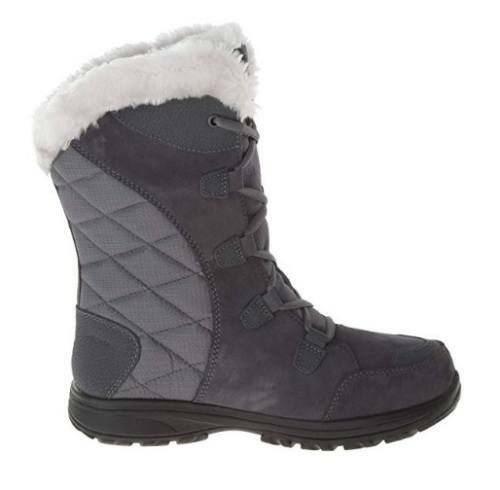 It is crafted in vulcanized rubber shell to ensure snow do not get in your feet. If you are participating in some active winter sports where you need effective protection, then this is the shoe to go for. This shoe has been rated to protect your feet even in -40 degree Fahrenheit. Now you can handle the winter season effectively by having this camping shoe. 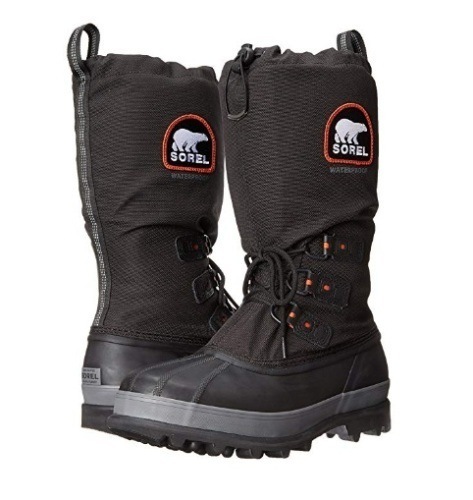 They are one of the best winter camping essentials that every woman should have. 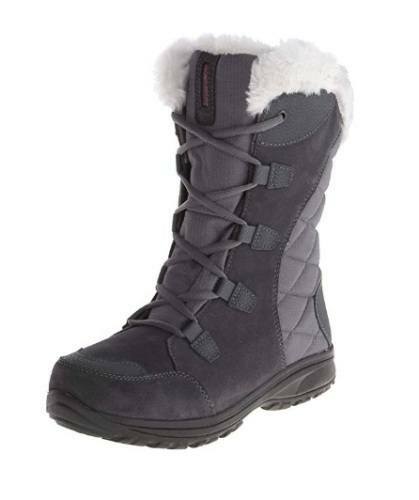 The Columbia Women’s Ice Maiden II Insulated Snow Boot comes in 8 different colors which will perfectly match your personality. They are very light and very ready to face the winter frost and snow. It is characterized by its 200G toasty insulation, lux-feminine look, and water resistant aspect. 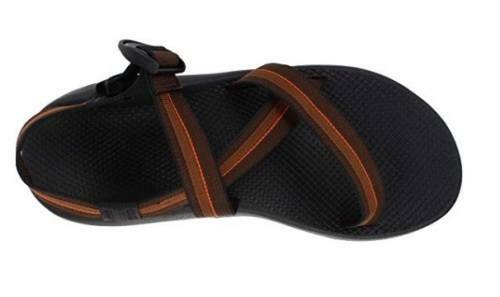 With an affordable price tag, you can have these camping shoes for summer which comes in 8 different colors that will ensure you get your taste and preference. They come in open-toe design which gives your feet and toes comfort they need. The LUVSEAT footbed design makes them perform better than most sports shoes. It comes in two colors Black/Grill and Charcoal/Black and various sizes that make it appropriate as a great heating system. It is fitted with Omni-heat Thermal Reflective Technology which regulates the feet temperature ensuring that you get comfortable. This technology works using silver dots that retain the warmth you produce. Its breathable mesh material also expels excess heat and moisture keeping you dry and comfortable. It's excellent footwear that you can use in traveling, sitting or just relaxing around your campfire. 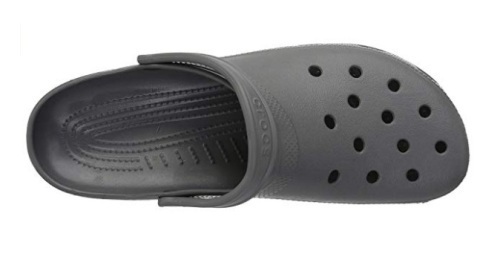 It is fitted with easy slip-on camp moc to ensure you are comfortable. It is made of a nylon upper and Omni-Grip outsole that keeps your feet comfortable. Columbia uses high-quality materials and the best technologies in making their products. They come in very classic design which is very attractive to most ladies. Besides, they can choose a suitable color from a wide variety of 14. These saddles are made to fit your feet and give you the comfort you have been looking for. They have a two-cord design and free-moving cord that enhances movement, structure, and security of your foot. Its lightweight midsole usually delivers comfort and durability needed while its outsole rubber keeps your step secure. 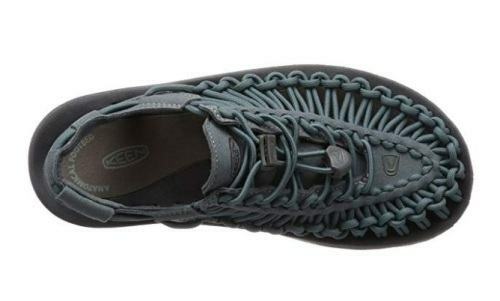 With its two cords and a sole, it becomes a UNEEK camp shoe. 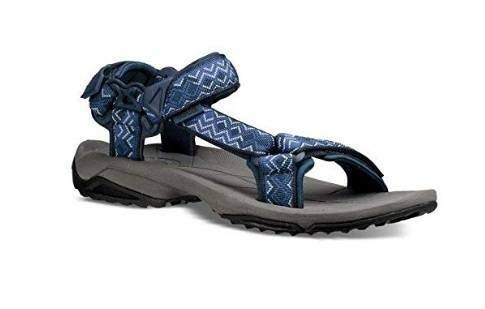 The Teva Men's Terra Fi Lite Sandal is meant explicitly for those outdoor camping in the summer season. Whether you are going to run, climb or to walk, this summer camp shoe will do a great job. It has some straps that you can use to tighten or loose the laces to ensure you remain comfortable in it. 1. Is Salomon Men’s Quest Prime GTX Backpacking waterproof? 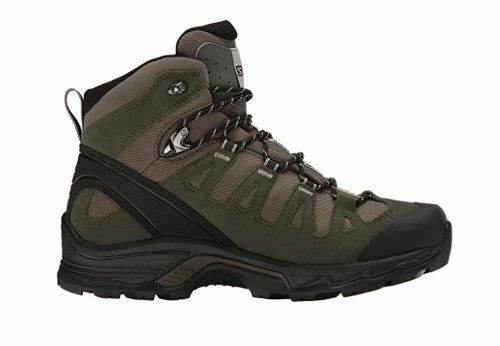 This choice of camping shoe has been engineered with Gortex design which makes them water resistant. Whether you are walking in water or snow, your feet will be kept warm and dry for a couple of hours. However, if you stay long in the water, it will get soaked, which may lead to serious problem to your feet. However, this can be prevented by putting the right socks to keep your feet dry. This is one of the best winter camping gears to remember. 2. 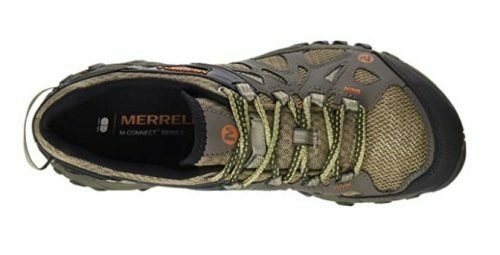 Can I use Merrell Women’s Proterra Vim Sports Hiking Boots during winter? Of course, these are the best shoes for camping and hiking that one can use during winter to keep your feet warmer. Their mesh upper makes your legs breathe even when you have worn heavy socks. That means you will not have some bad odors when you remove your shoes. Nevertheless, you should avoid going into the water during winter, for they are not water resistant. 3. 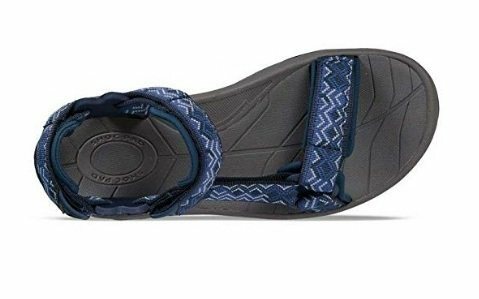 Does Merrell Women’s Proterra Sport have some removable innersoles? They have innersoles that you can remove and replace them with the one you love. 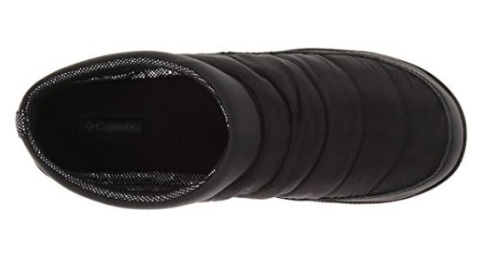 However, these innersoles are designed to be very comfortable to your feet in that you can stand, climb, run or hike even in the steepest areas for long without feet soles. 4. Can I Wear Vibram Men’s V Trail in running for over 15 miles? If you are used to running with a closed shoe, then V-trail, as the name suggests, could be used in trails. Long distances would have severe impacts on the shoe, but it can handle the running. Whether you are a winter or a summer camper, a design lover or not, there is a shoe, boot, sandal or slipper in the above list that can fit your taste and preference. They can be used while camping in the backcountry, in car camping or mountaineering. However, don’t be carried away by the beautiful colors they come with and forget to check the most important things in a shoe. Take a look at their durability, price, quality of their make, and ease of cleaning among others. Don’t forget to check at the reviews of other customers who have bought the product to avoid falling into the traps of faulty shoes. When it comes to durability, comfort, being waterproof, and lightweight, then you should go for Salomon Men’s Quest Prime GTX. Their high level of stability and support to your arch will ensure your feet are well-protected from any injury. 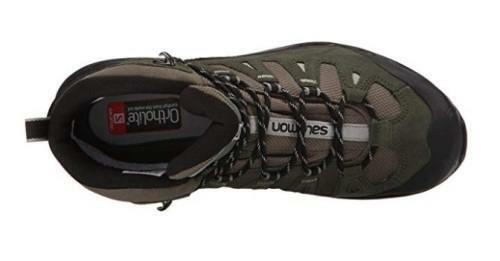 It’s our top pick for best camping shoes and we are rating it at 4.9/5.0.